Every year since 1983 , around 50 students, academics and poetry lovers have come together to immerse themselves in the poetry of Wordsworth in the landscape which inspired him. This blog is by Stephen Gill, who has been involved in the event for a long time, and is passionate about opening up this special experience to as many people as possible. At the end of each session of the Wordsworth Winter School the participants choose a theme for the following year. It’s a small ritual but one of great significance. That everyone is involved in setting up of an experience that will be both new and familiar at the same time indicates that the Winter School is a communal, participatory affair. The group is serious but non-competitive, and so friendly and welcoming that attending the School is for many an annual highlight. ‘See you next year’ is a familiar farewell. It isn’t surprising that participants return. The Winter School —Monday to Friday towards the end of February–combines fun with enthusiastic learning, scholarship with searching questioning, and above all it fosters appreciation of the poetry and other work of Wordsworth, his circle, and his contemporaries. In the quite grand but very comfortable setting of Rydal Hall, the daily pattern is for a lecture after breakfast, followed by small-group seminar discussions which mull over what everyone has just heard. The afternoon is given over to an excursion or a guided walk, followed by a further lecture before dinner. A special feature of the School is that the formal proceedings of the day end with a poetry reading, after which those with energy left decamp to the bar. The 2017 theme was Wordsworth and Friendship. It was explored in lectures on Wordsworth’s personal and poetic relations with Coleridge, Lamb, William Rowan Hamilton and the Clarksons. One speaker dealt subtly with ‘Wordsworth, Writing, and the Friendship of Women’, while another introduced us to the poetry of Hartley Coleridge. The last lecture of the week was a splendidly illustrated survey of ‘Wordsworth’s Artistic Friendships’. The excursions this year were very enjoyable. Despite ‘the wind and sleety rain,/And all the business of the elements’, Richard Gravil led us on a highly informative pedestrian tour of Penrith, which ended at just about the most beautifully restored market-place hostelry I have ever raised a glass in. Later in the week Richard obtained entrance for us to Newbiggin Hall, home of Wordsworth’s ancestors, a rare treat. 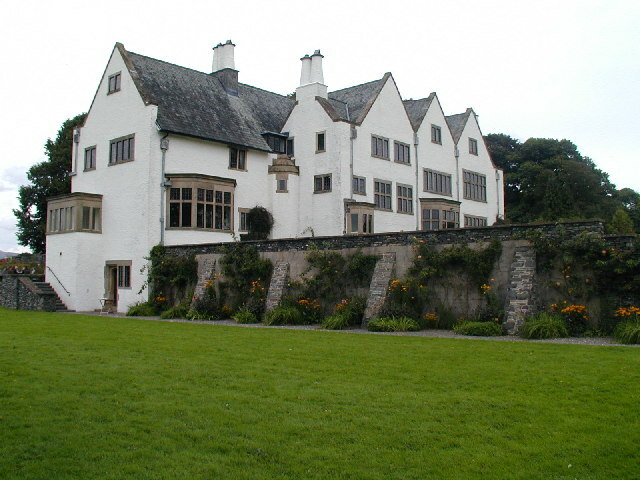 A visit to Blackwell, the Arts and Crafts masterpiece on Windermere was a perfect foil to a viewing of the new Wordsworth Trust exhibition, Wordsworth Country: Lakes, Mountains & Waterfalls, prefaced by a very able introduction from Curator Jeff Cowton. Towards the end of the week noted scholar and Winter School stalwart, David Chandler, revealed once again his talent for comic drama when he led a fine cast of Winter School members in The Siege of Rydal Mount; or, The Poetry Reading Interrupted. It is much shorter than Wordsworth’s play, The Borderers, and, it has to be said, more fun. The theme chosen for 2019 is Wordsworth’s Poetical Heirs. This will include sessions on Thomas Hardy, Wallace Stevens, Edward Thomas, Seamus Heaney and Tony Harrison. The dates are 18th to 23rd February and further information is available at Wordsworth Conference Foundation or by emailing wordsworthwinterschool@gmail.com. Booking will open on October 15th 2018. Stephen Gill is an Emeritus Professor of Oxford University and a Fellow of Lincoln College. For many years a Trustee, he is now a Fellow of the Wordsworth Trust. His edition of The Salisbury Plain Poems of William Wordsworth in 1975 inaugurated the Cornell Wordsworth Series and he has since twice edited selections of Wordsworth’s poetry and prose for Oxford University Press. In addition to editing collections of essays, he was written three books on the poet: William Wordsworth: A Life (1989), Wordsworth and the Victorians (1998) and Wordsworth’s Revisitings (2012).